Our newest Disney friend has joined the Scentsy family; Stitch – Scentsy Buddy. Plus we have a new exclusive fragrance, Stitch: Experiment 626, a tropically inspired blend of Valencia orange, pineapple nectar, sugarcane and sea salt mist. 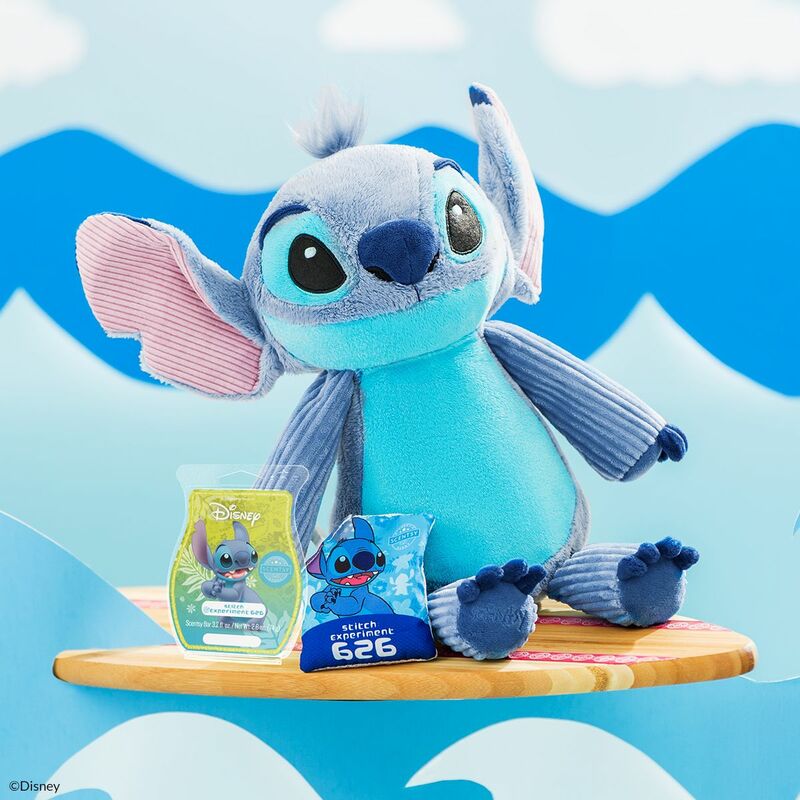 Stitch – Scentsy Buddy comes with a Stitch: Experiment 626 Scent Pak for $35. We also have a bundle featuring the Stitch – Scentsy Buddy (including his Scent Pak) and a Stitch: Experiment 626 Scentsy Wax Bar for just $40!! Scentsy Club members.. Stitch: Experiment 626 is eligible to add to your subscriptions as a Scentsy Bar. These additions must be made by March 13, 2019, or as long as the fragrance is available beyond that date. 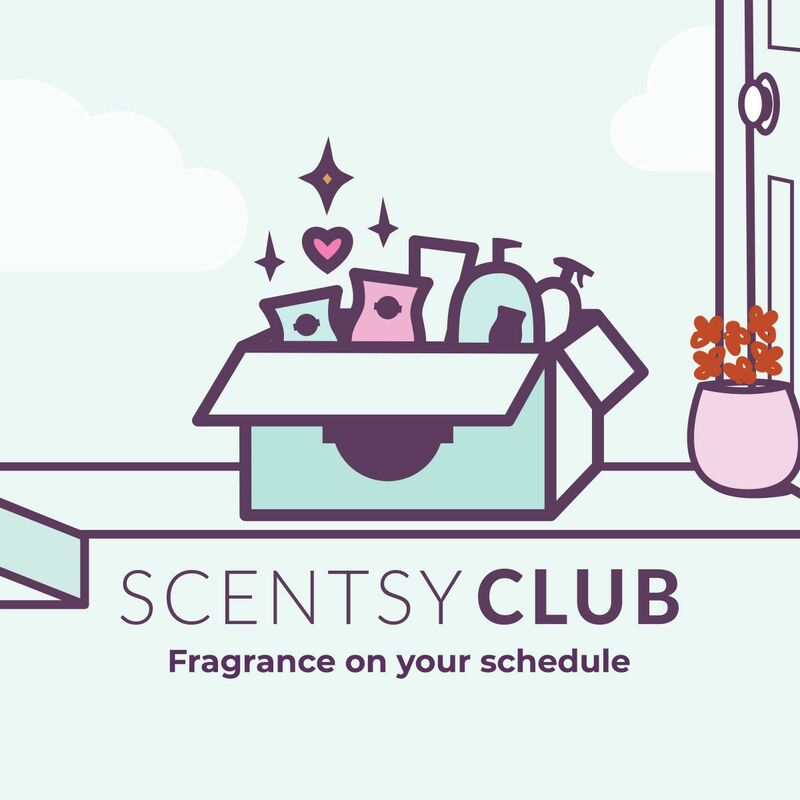 * Get this fragrance shipped to you on a regular basis — as long as you want — by taking advantage of Scentsy Club’s Always Get My Bar perk. Otherwise, Stitch: Experiment 626 is only available while supplies last. Do you love Scentsy? We have a new program to make sure you never run out of your favorite Scentsy consumables!! ⋆ Always get my bar!  - Do you have a favorite scent that Scentsy has retired? For me, it's Beach! Throughout the year, Scentsy Wax Bars are discontinued to make room for new ones but if Scentsy discontinue a bar that’s in your subscription, they’ll keep making it just for you (as long as you keep it in your subscription)! ⋆ Scentsy Bricks! That's ONE pound of wax! - When your order is over $30, you can unlock and add a Scentsy Wax Brick to your subscription for just $24. You may select from a list of our top wax fragrances. ⋆ Purchase limited-time seasonal collections early! -- Bars are eligible for Always Get My Bar if added to a subscription within 30 days of the collection’s launch date. There are no fees to join the Scentsy Club subscription program, and there are no minimum or maximum purchase requirements. You pay only for the products you order and any applicable shipping charge. You can choose for your subscription to ship every month, 2 months or every 3 months. You can also skip a shipment as long as you edit your subscription 20 days before scheduled delivery. Depending on your country and/or the purchase amount of your order, you may qualify for flat-rate, reduced or free shipping. With Whiff Box, you’ll get five to eight sample and full-size fragrance items from categories like Scentsy Bars, Body, Clean, Laundry and other products to help you take fragrance on the go. Every month's assortment is different, and brimming with fun surprises, but you can always expect to find a “sniff preview” of the next Scent of the Month. And, Whiff Box will always cost you less than buying its contents individually. Scentsy has partenered with Disney to launch new products! These cuddly Scentsy buddies were just released to satisfy everyones need to squeez tigger and Winnie. Curl up with a Scentsy buddy and watch your favorite Disney movie. The woods await! Winnie the Pooh is ready for adventure — and endless cuddles — as an adorable Scentsy Buddy, perfect for adoring Disney fans of all ages. 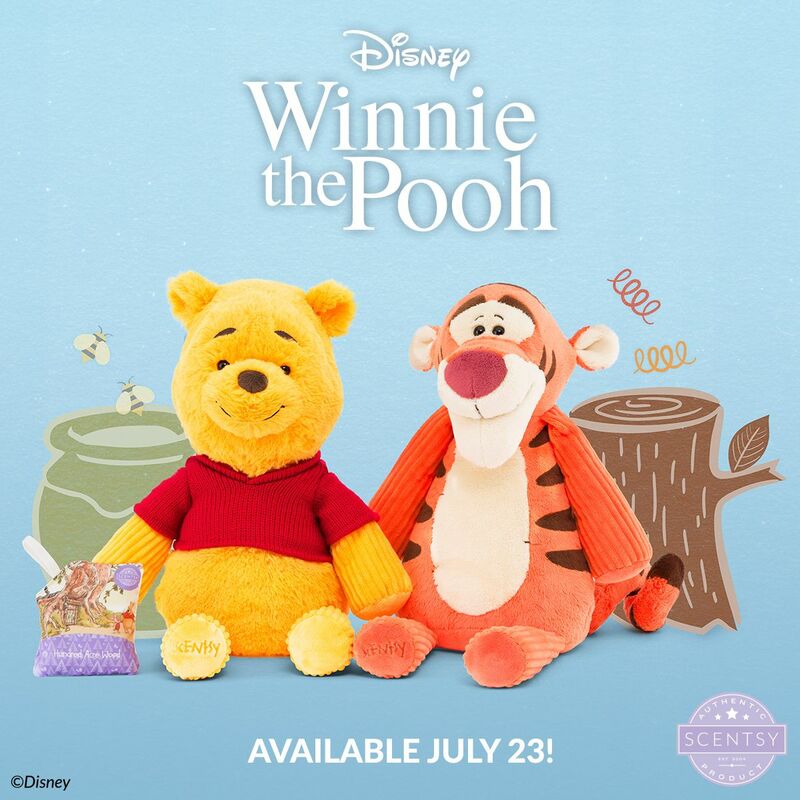 Each Winnie the Pooh – Scentsy Buddy comes with a preselected Scent Pak in our exclusive Hundred Acre Wood fragrance. Look who’s bouncing at the chance to come home with you! Tigger is ready to make your world a happier place as a limited-time Scentsy Buddy, perfect for adventurers young and small. Each Tigger – Scentsy Buddy comes with a preselected Scent Pak in Hundred Acre Wood, the fragrance we created just for him and his friends. It's fall so that means pumpkin everything!! 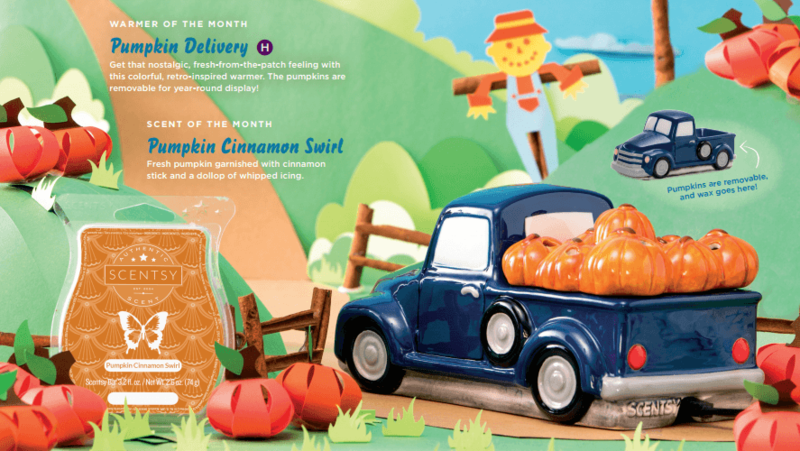 How cute is Scentsy's warmer of the month Pumpkin Delivery?!? This colorful, retro-inspired warmer is a cute navy blue truck with a pile of pumpkins in the bed of the truck. It gives you that nostalgic, fresh from the patch feeling. Pair it with our Scent of the Month Pumpkin Cinnamon Swirl -- Fresh pumpkin garnished with cinnamon stick and a dollop of whipped icing. The pumpkins are removable for year-round display!